Italian supplier Magneti Marelli has opened its new China headquarters in Shanghai to support the growth of its local businesses. 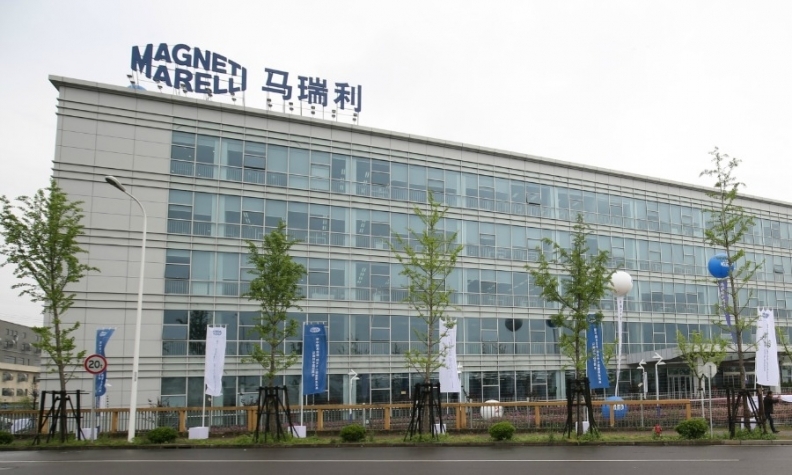 The headquarters, covering more than 22,000 square meters (236,806 square feet), houses Magneti Marelli's local management personnel and an r&d center for the supplier's powertrain and automotive lighting businesses, the supplier said in a statement. The headquarters opened last month and will have about 550 employees by year end, increasing to about 700 in 2018, the company said. Magneti Marelli, which entered China in 1996, has 11 plants and about 3,500 employees in China. In 2015, the company's four business units in China -- powertrain, lighting, exhaust systems and suspensions -- generated sales of more than 550 million euros (4.1 billion yuan), Magneti Marelli said. Magneti Marelli, of Milan, Italy, ranks No. 30 on the Automotive News Europe list of the top 100 global suppliers with worldwide parts sales to automakers of $8.05 billion in 2014.